marine, desert, alpine and high vandalism areas. Fully sealed with marine grade components. 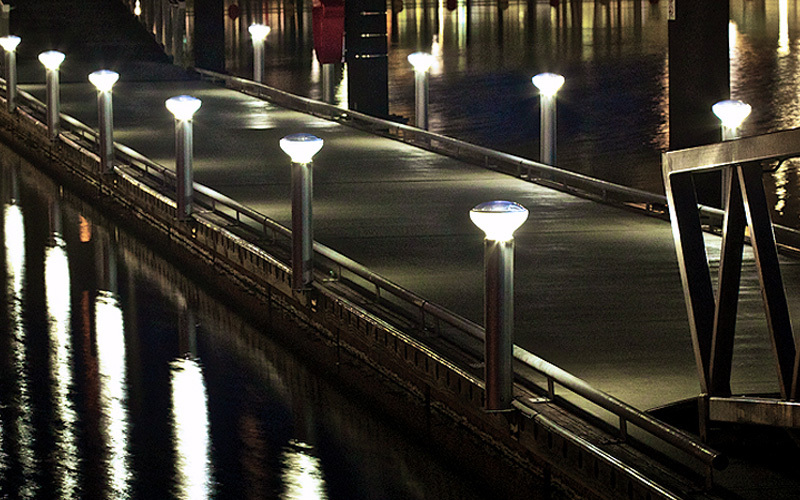 Conforms to AS 1158 P4 pathway lighting standards. Asymmetrical (180 degree) light output option. Department of Defence, Department of Transport & Main Roads QLD and Rio Tinto to name a few. 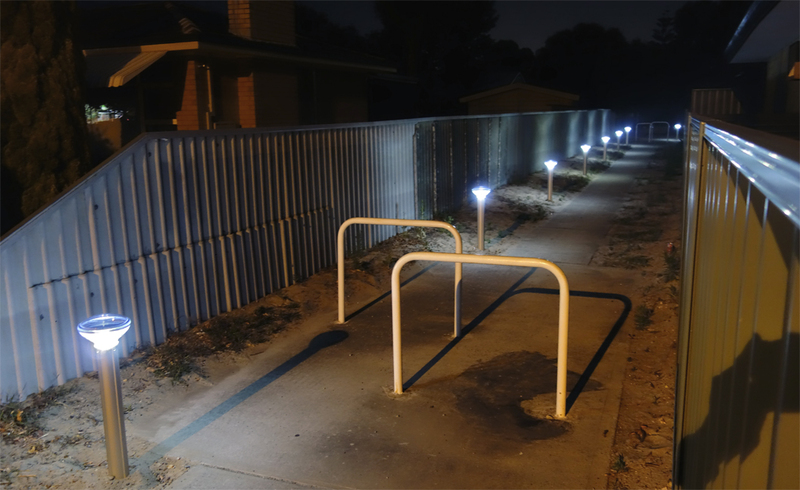 With bollards in the market for over 10 years now, the original Australian made vandal resistant solar LED bollards operate provides reliable all night light in some of the most demanding locations. 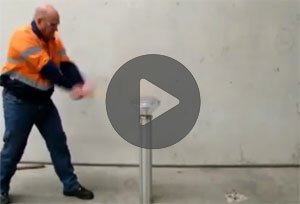 From maritime locations with heavy salt water, extremely hot and dry desert regions such as the Pilbara, hot tropical locations such as Darwin, the freezing Victorian and NSW snow fields, through to high vandalism urban and remote areas, these bollards have proven they are tough and reliable. 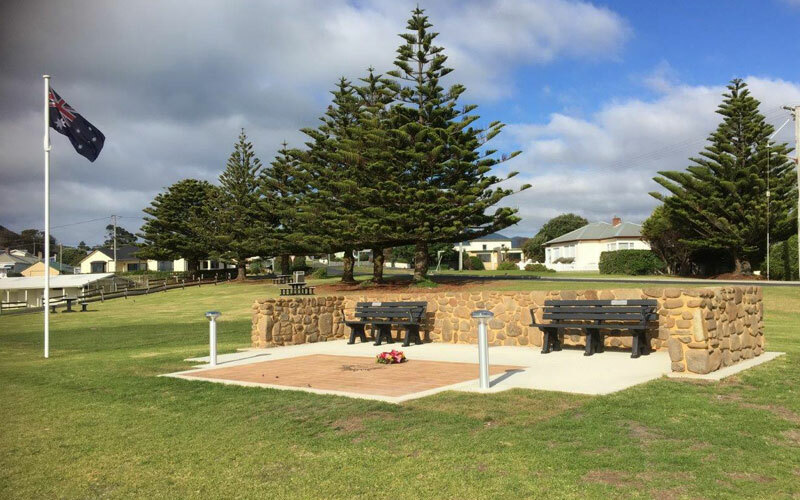 Town of Port Hedland Testimonial. Proven track record of 10 + years. SBL five year warranty, SBL2 seven year warranty. Do they stay on all night? Yes, reliable all night light at 100% illumination, with 4 – 10 nights battery back-up depending on the power model. Do they work in the shade? Yes there is a low power model that works in full shade, this needs to be discussed with Orca Solar Lighting. Different power models work in varying amounts of shade. How do rainy days affect the performance? They are designed to operate reliably through prolonged bad weather. They have 4- 10 nights battery back-up depending on the power model. No, the batteries will outlast other components, but are easy to change nonetheless. Yes. DIY capable person, no electrician or solar installer required. Direct bury pole into soil with concrete back fill or on ground (flange mount) to dynabolt or chemset to existing structure. What distance should they be spaced? 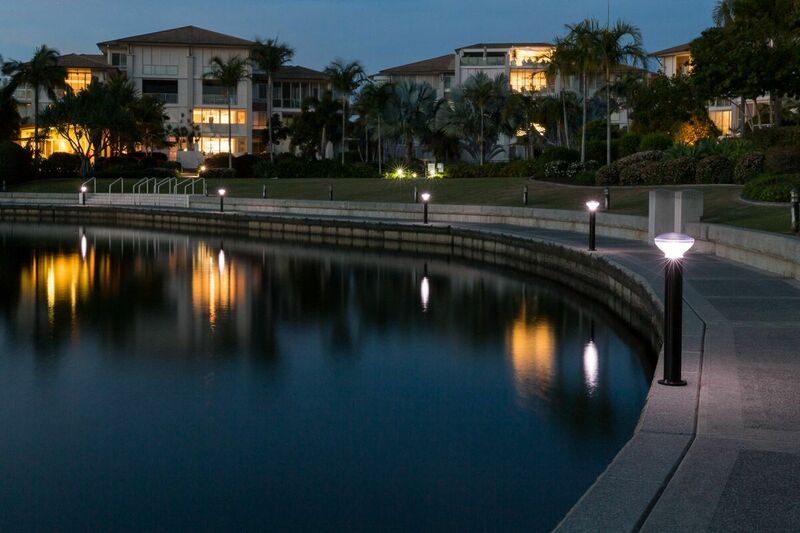 To conform to AS 1158 P4 pathway lighting, allow 6.5 to 10m between poles depending on model and power setting, or 10m to 15m for way finding light. Are you enquiring for residential purposes? 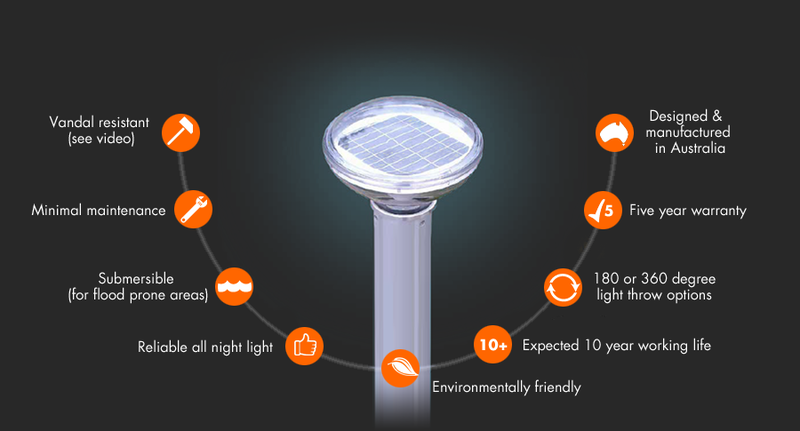 How many solar bollards are you interested in? 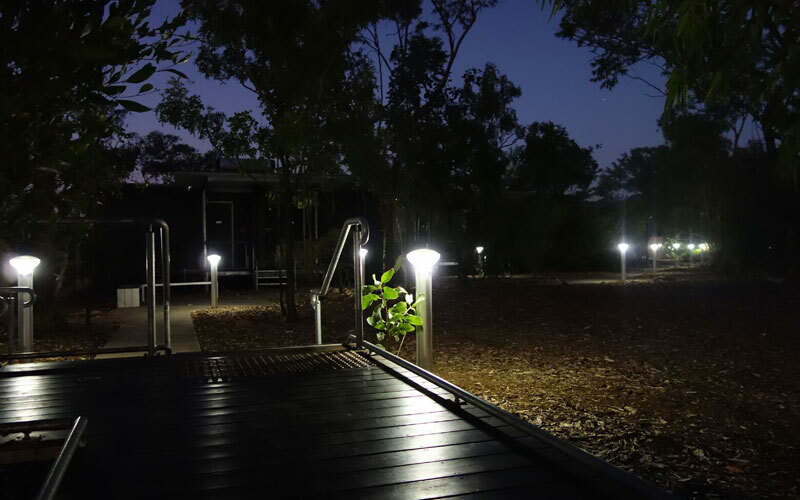 All NSW, Qld, and ACT local government can purchase SBL solar lighting bollards through the Localbuy and Local Government Procurement contracts, eliminating the need to go to tender or obtain three quotes, with peace of mind that they are dealing with a reputable pre-qualified supplier and purchasing on the best possible terms.